We were given a brief, which was part of our course under which we are given deadlines reprehensive of the real world circumstances that we would be forced to work under once we were out of a degree course. 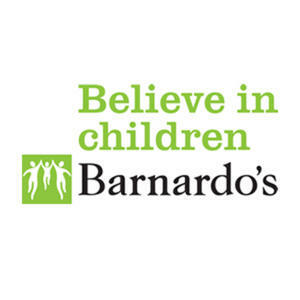 In this instance we were handed the task of designing a logo for the Cardiff Half Marathon, which is sponsored by Barnardos. The first part of this brief involved someone from the charity company, David O Sullivan coming down to us and telling us about the company, the marathon and the association along with the guidelines and the full details of the competition. The restraints of the brief were the first thing I noticed about the brief as it not only restricted the type of logo we could create (Move away from pictorial designs) but also restricted our choice of colour (predominantly green) as well as having to represent the changing Cardiff. I was anxious about this brief as I feel I could be hankered by the restrictions placed onto us, although it started well as I was able to get creative with my brainstorming. My first problem is that I kept retreating to stereotypical idea’s, which related more to the sport of marathon running rather then the place that it would be held. I also at the same time was looking at ways of portraying the traditional Cardiff through the castles that the city is famous for. I wanted to create a sense of abstract in the image and as such broke the image up into sections, including the river Taff, on which the castle stands, which I felt would give an ability for the design to be able to be shrunk without losing the effect of the piece. I feel that I gave a variety of outcomes as I didnt want all three of my designs to basically have the same feel to them. With this in mind I tried to approach the brief from different angles and I believe that I have managed to create different outcomes which give the judges more of a varitey.